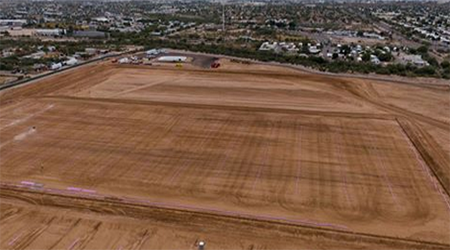 PIMA COUNTY – On Tuesday, Dec. 4, the Pima County Board of Supervisors approved, in a 3-2 vote, a $9.6 million increase in funding to the contract with Haydon Building Corp for the construction of Kino South Sports Complex. The approved funding will benefit the project’s first phase of improvements, which includes development of a regional tournament complex adequate for long-field sports such as soccer, football and rugby, and a separate area for pickleball. About two dozen community members attended Tuesday’s meeting to voice their support for the expansion citing the need for more professional-grade fields to host regional and national tournaments. Most represented existing user groups of the facility, including the Arizona Soccer Association, Gotham Soccer League, Pima Community College, the Tucson Association of Realtors Soccer Shootout, FC Tucson, the University of Arizona, the Pima County Junior Soccer League, the Tucson Sugar Skulls, the Pickleball Ambassadors and Visit Tucson. 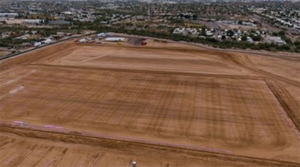 Many of them spoke to the benefits this expansion would bring to local sport users, who currently have to travel out of Tucson for tournament and regular play, and also the economic impact it would have on the region. The first phase of improvements will develop a regional tournament complex with 12 natural grass sand-based multi-use fields, parking, an entrance from Benson Highway, 20 pickleball courts and additional infrastructure, including concessions, lockers and an area for vendors and players. Phase 1 is slated for completion in early 2020. The $9.6 million approved by Board on Tuesday was the second phase of funding needed to complete Phase 1 of the project. The third phase of funding will be presented to the Board in the first quarter of 2019.